Who doesn't dream about a Lexus?! This is the car we all desire, stylish, beautiful and classy. 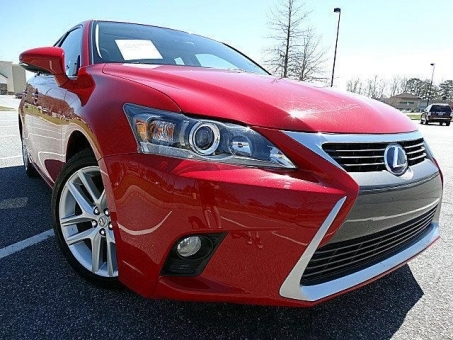 A perfect ride on a perfect vehicle, this is what you need and this is what Lexus offers you. Provided options: Air Bag - Side Curtain, Air Conditioning, Airbags,GPS, Dual Climate Control,Cruise Control, Heated seats, Power seats , Power steering, Power mirror, Power brakes, tinted glass. On Car Auction LA we have the facilities and expertise to assist our car sellers in realising the full value of their used cars for sale, and to assure our car shoppers with the best auction lots available on local car auctions. Watch and bid on our Live Internet Auctions all around the USA. Car Auction LA is a car auction online run by professionals with experience in all facets of auctioning from used motor vehicles, new trucks, old trucks, used vans and equipment and many other items. We are a leader in LA online auto auctions, this gives our clients the opportunity to sell their vehicles to a large number of registered buyers around the country at online car auctions. Our cars for auction are catalogued, photographed, inspected and detailed, so that buying a used car with us is safe and convenient. There are several options available to you to participate in the auction bidding at Car Auction LA and get access to other local used car auctions, collector car auctions, antique car auctions, insurance car auction, seized car auctions, government car auctions, public car auctions, charity car auction etc. Choose the best car to buy, and get it fast and stress-free on our online car auction! Experience the best Online Auto Sales with Repokar! We don't have any registration fee, it's free to take a look at our large and various car inventory. We have any car makes in any colors you might wish. We have a comprehensible navigation system on the site, so it will be fun and easy to search for a car you have in mind. We have many used cars for sale from dealers and just car owners (you are welcome to consign your car and make a profit, too), we also have government auctions, dealerships auction cars, police car auction, tow companies cars for sale, bank cars sale, prior car rental auctions etc. Visit our Car Auction in LA!